With more than two decades of legendary parties in Ibiza to its name, Cream Ibiza is one of the island’s longest-running and most successful events. 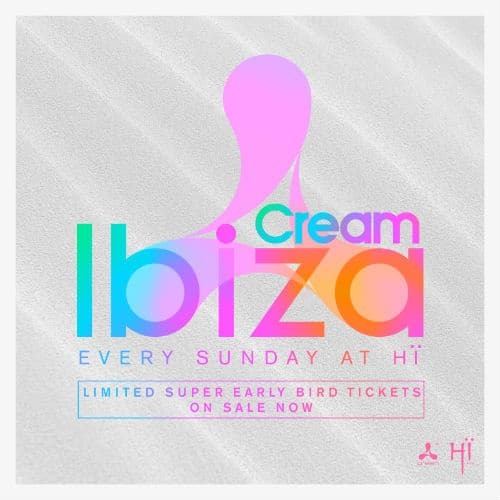 After weeks of speculation, Cream Ibiza prepares to enter an exciting new chapter this summer, announcing a season of sensational Sunday parties in its new home at Hï Ibiza, the island’s newest nightlife institution. Taking place every Sunday from June 24th to September 2nd, clubbers can expect the global clubbing institution to deliver yet another season of explosive parties featuring some of the world’s biggest electronic artists. This combined with Hï Ibiza’s state of the art design, sound and world class production make for the perfect partnership in this all new Sunday affair. Full line up is expected to be announced soon. Limited super early bird tickets priced at 30€ are on sale now hiibiza.com. Hey Buddy!, I found this information for you: "Cream Ibiza begins new era at Hï Ibiza". Here is the website link: https://themusicessentials.com/news/cream-ibiza-begins-new-era-hi-ibiza/. Thank you.